UNGAWA! Fish have many names. Fish good to eat, too! 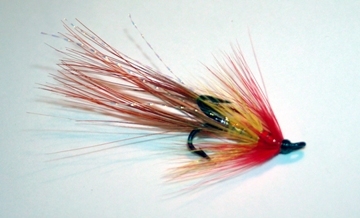 This one, being true to its name, has an Indian sounding moniker – Oncorhynchus gilae apache. So maybe it doesn't really sound Indian, but I had you thinking, didn't I? The Apache Trout is one of only two fish to be native to a single state, that state being Arizona. 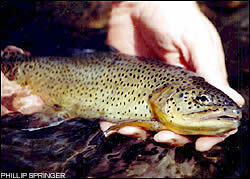 This little aquatic beastie is also known as the Arizona trout and is the state fish of Arizona. The skin of the fish is a yellow-gold with a dark green hue on the top of the head and the back. It also has black spots along the body that MIGHT go as far as the tail fin. The eyes are where the Apache gets its name, as they have the appearance of a black "war paint" stripe through each eye. Under the throat is a "cutthroat" mark that is yellow or gold. These fresh water wonders can grow as large as 24" and weigh up to 6 pounds. The average, though, is more like 12" to 15" and 3 to 4 pounds. Still not a bad catch! They spend their entire lifespan in the stream where they are hatched. The Apache spawns between March and June each year. 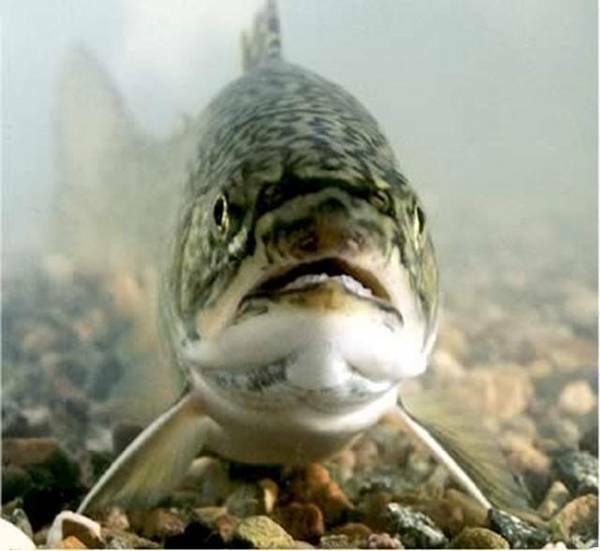 The squaws (females) lay between 70 and 4000 eggs in redds (nests) like other trout, and the eggs are then fertilized by the warriors (males). Maturity occurs at about 3 years. MAN! These guys start young! 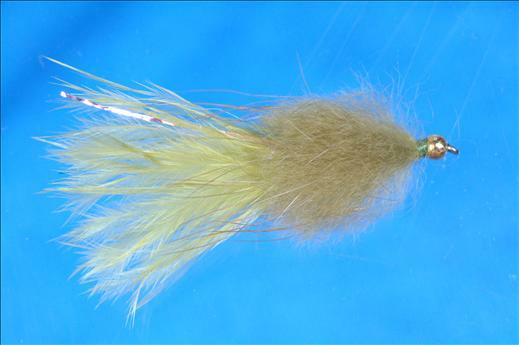 Like their trouty cousins, Apaches will opportunistically eat just about whatever floats by on the current. The diet consists of aquatic and terrestrial insects. Caddisflies, Mayflies, grasshoppers, and ant imitations are effective in angling for these swimmers. We can eat these delicious creations a number of ways, but mainly on a plate. Again, like others in the Trout family, Apache Trout can be grilled, broiled, baked, smoked, or poached. I heard of a barbecue version once, so maybe I'll share that with you later. Anyway, they are tasty and MMM MMM GOOD when cooked right! 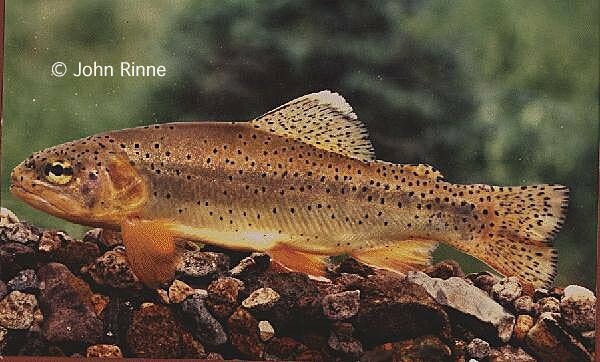 Due to the mark under the chin, the Apache may be mistaken for the Cutthroat Trout. Cutthroats that stay in fresh water will only grow to about 2 pounds, though. The colors are a little different as well. The Cutthroat has spots that are larger and more widely spread over the body, whereas Apaches have many smaller ones. The eye stripes of Apache trout are the telling factor. They are the only trout to have them.